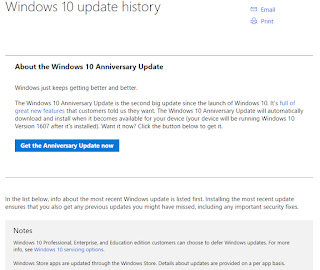 Windows released its Anniversary Update a few days back. 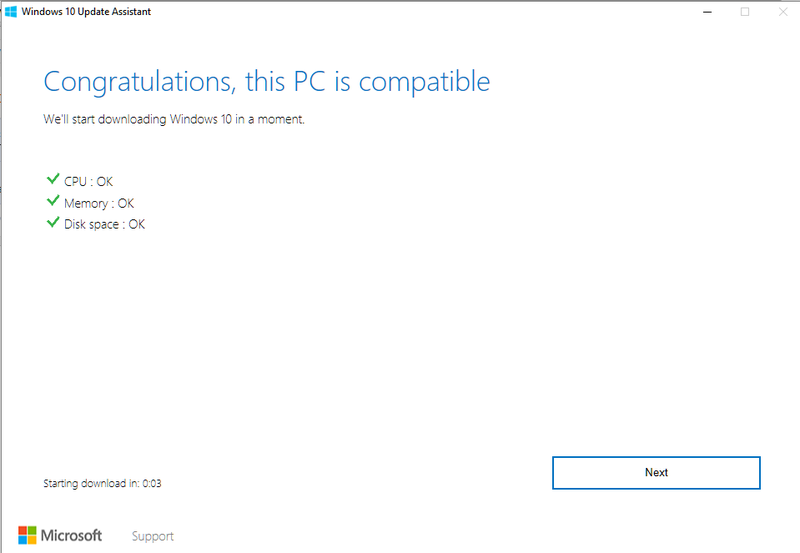 You can download its official ISO file to update or install a fresh copy. 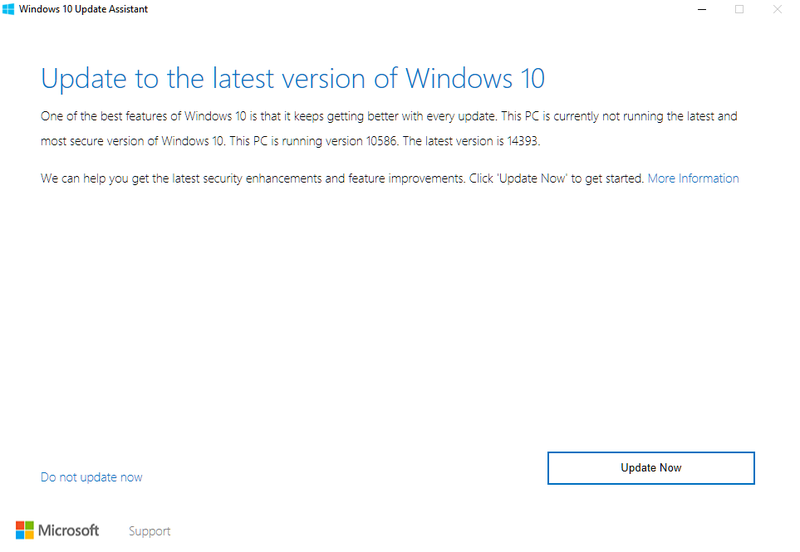 You can use Microsoft Windows 10 Update Assistance to update Windows Anniversary Update. 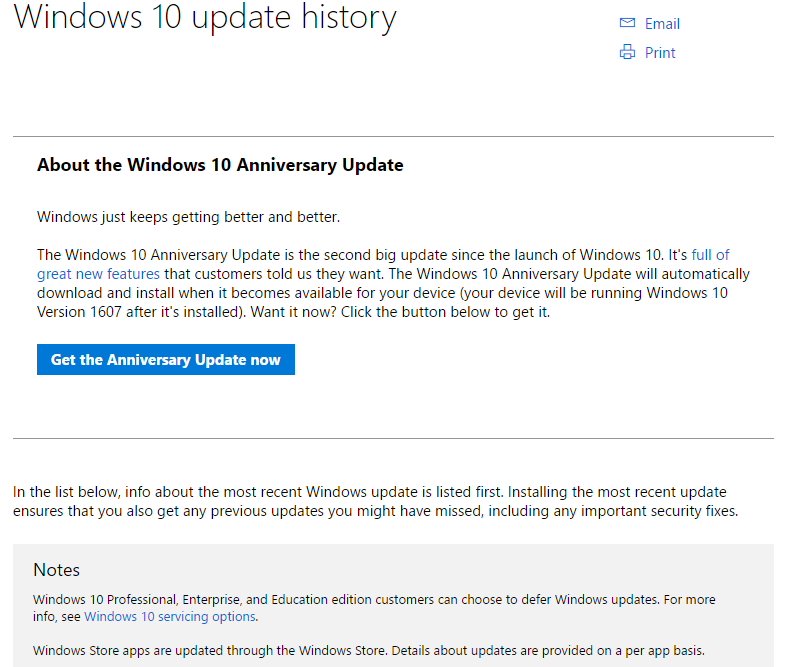 This same software was used to update previous versions of Windows. Go to Microsoft Support Site with your web browser. Now click on the link “Get the Anniversary Update now”. 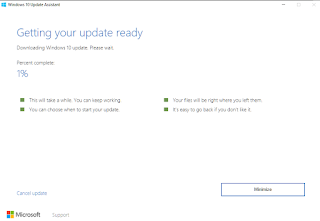 This will download Windows 10 Upgrade 28084.exe on your computer. Open this file to launch the upgrade. 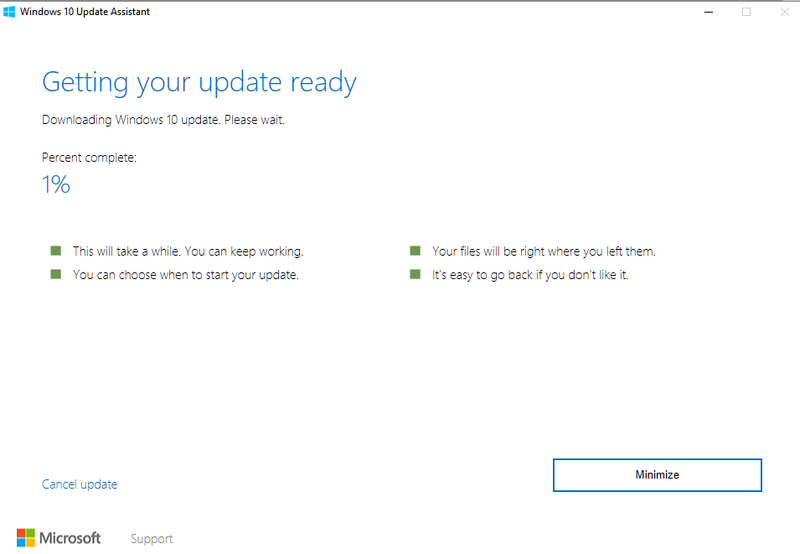 Now click on Update Now. 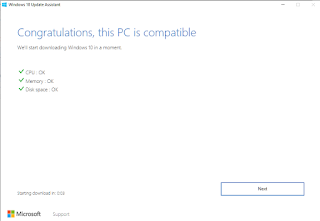 This application will check your computer’s compatibility. It will check your computer’s CPU, Memory, and Disk Space requirements and after it is done then click on Next button. Now this will start downloading the files and will prepare for the installation process. 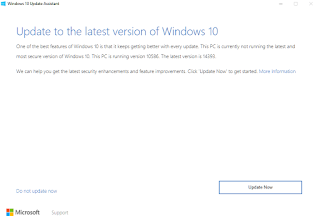 Windows will start booting to complete installation of the new upgrade.